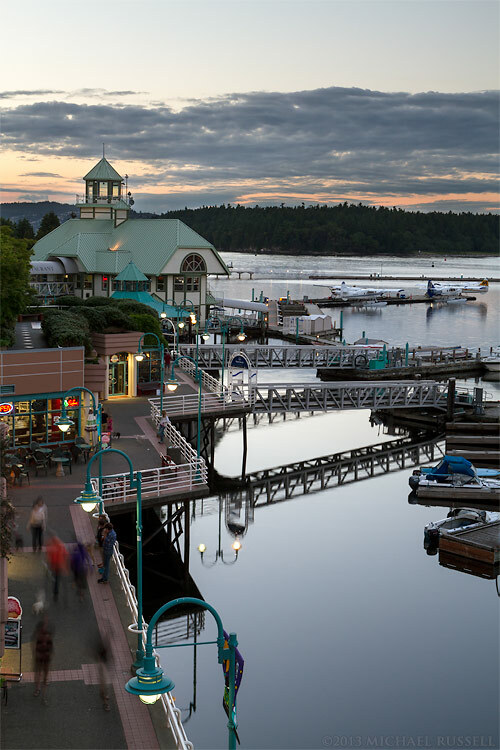 Earlier this month while visiting Nanaimo, British Columbia I walked along the Harbourfront Walkway past the shops, tourists, and marinas. I made this photo from the top of a stairwell made up to look like a ship’s mast – this provided a pretty good view of the area below. Just beyond the ramps to the boats you can see some of the seaplanes from the Harbour Water Airport.